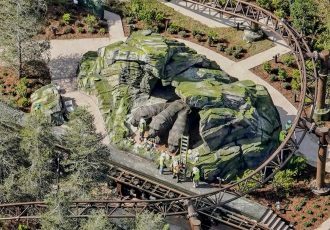 The rockwork has finally begun over at Project 340 in Islands of Adventure. Things are shaping up to make for a gorgeous facade. 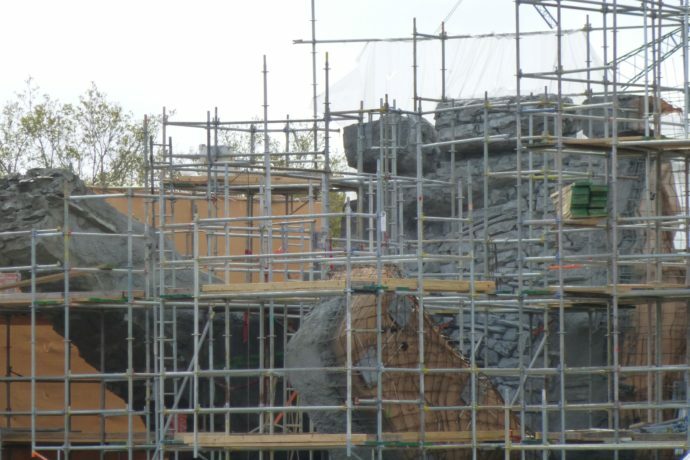 In addition to the temple gate area a flat two-dimensional “rock-like” structure is being applied to block the show building from guests inside the park. 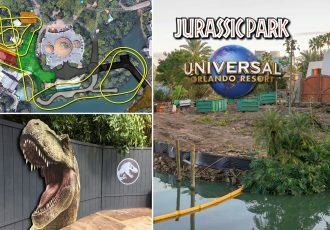 It looks like that’s what will be seen looming behind the Thunder Falls restaurant in Jurassic Park, which is good, as rocks look better than another big building ruining the skyline. Construction photos from today are below!
. @Comcast's exec just CONFIRMED KING KONG at @UniversalORL ORLANDO! Also, today Comcast executives let the cat out of the bag during an earnings call, confirming that Kong is in fact returning to Orlando. 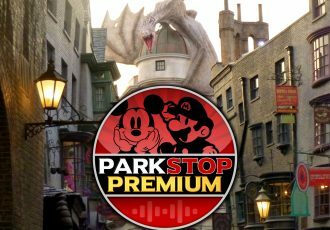 “As we continue to invest in attractions, including Harry Potter and Fast and Furious in Hollywood and a King Kong attraction in Orlando, investments in our theme park are driving strong returns,” said Michael Angelakis, CFO, during the fourth-quarter conference call. 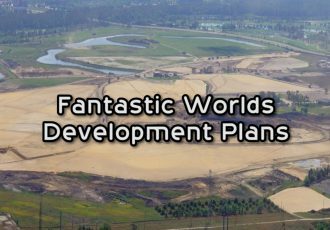 There has not yet been an official announcement from Universal Orlando, but at this point in the construction it’s pretty hard to deny what’s being built. This is clearly the temple gate from Skull Island we’re seeing. The walkway is extra narrow with a new bright green wall that has sprung up, most likely related to Jurassic Park area refurbishments. Kong building looms in the background. 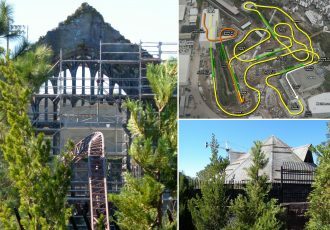 Also, be sure to check out the history and future of the Garden of Allah area at Universal Orlando, with construction pictures!